Young Critics, 3rd Act Critics and Kids in Museums volunteers are working in partnership with Amgueddfa Cymru – National Museum Wales (ACNMW) http://www.museumwales.ac.uk/ on a new free project focusing on the quality and standards of exhibitions and programming at their sites across Wales. Those involved recently spent a day with the staff at the National Museum, Cardiff. We will be featuring the responses to the day from the participants our last response is from artist Amelia Seren Roberts. At the National Museum of Wales. I recently attended a tour of the Ivor Davies retrospective hosted by Judit Bognor, co-curator of the exhibition and tutor on the MFA at Cardiff School of Art & Design. Judit began by explaining that the show was a solo show, rather than a group exhibition. In terms of curatorial practice, if the show is to contain different works by a group of artists, a topic or theme may be chosen before or after the exhibiting group is decided. In this case, NMW was to show a retrospective of Ivor Davies’ practice. It is unusual for a gallery or museum to show a single artist’s work unless they are well-established. 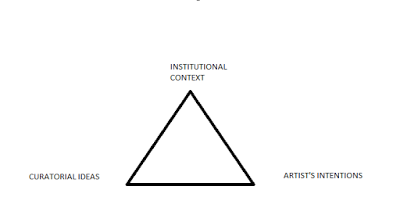 The usual format of such retrospectives is a chronological one, starting at the early works and ending at the newer works; the intention of such is to show the development of an artists practice throughout their career. Other, non-chronological, approaches to displaying the pieces may include grouping by topic or materials. In the case of Ivor Davies’ exhibition, the works are shown in reverse-chronological order, starting at the most recent works, and developing to focus on more early examples. The freedom Judit was allowed to curate with was partially due to the artworks being largely sourced from outside collections. When an artwork is in a permanent collection, the owner has say over when, where and how a work is presented, as such the curators input may be limited. Judit drew attention to the relationship that exists between the artist, curator and institution when organising exhibitions. She spoke of the conflict often experienced between the ideas of the curator, the artist’s intentions for the work, and the institutional context. 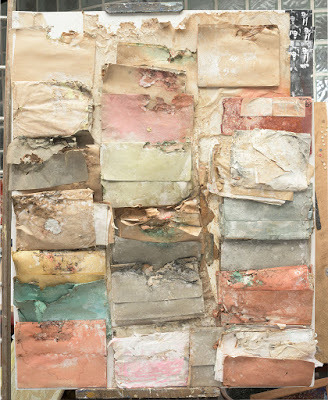 Judit expanded on the reasoning behind the title of the exhibition; a common thread that her colleagues and herself had recognised within the work over the whole of the artist’s career was that of destruction and creation, material transformation, and of durational thought. 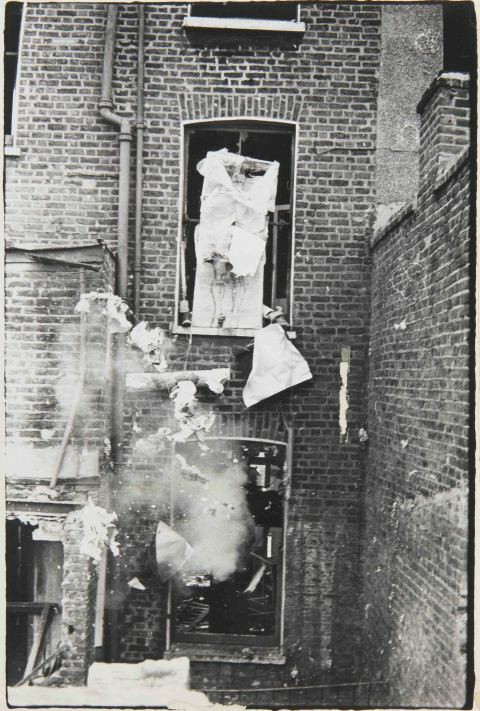 This was evidenced in works that developed during a symposium Ivor co-organised in the Sixties on the topic of destruction in art. Works related to the theme, as well as an archive of over 300 documents are shown alongside informative texts. What interested me about the consistent theme of this exhibition was its relevance to a contemporary political context. A large number of the works having been created around the time of the Cold War, when the risk of nuclear devastation was a very real threat, the questions the works raise about destruction seem all the more poignant. Whether a deliberate comment or not, the timing of the exhibition, which coincides with Britain currently seeming on the brink of conflict, means that its concerns have become relevant once more. It is important when considering whether an exhibition and the specific works within it require accompanying texts, the establishment within which the works are shown. It is more likely that simple, explanatory text in large print would be seen alongside works in a public museum, than would in a contemporary art gallery. This is because the curator must consider whether such interventions are appropriate in the context of the work and venue, and within this must select written supporting materials which suitably reflect the varying interests and academic capabilities of the reader. In this case, because the exhibition is sited at the National Museum of Wales in Cardiff, the audience is varied in age, ability and interests and thus large, simple explanatory text is appropriately shown in each room, whilst smaller texts are shown alongside specific works should the viewer choose to engage with the show in more depth. It is the viewer themselves in this case who decides their individual level of interaction with the show. An interesting question thrown up by the curation of the exhibition is of how the viewer might experience a performance durationally. In this case, the curator has chosen to display a video recording of the performance, as well as a re-staging of one performance itself. Alongside this, an archive of materials surrounding the performance are exhibited which detail documentation of the memory of the event, instructions (or scores) for the performance, sketches and other ephemera. Judit spoke briefly about the difficulties the team had experienced when considering how best to re-stage a historic performance in a contemporary setting. This is a topic that I have discussed once before whilst at the New Walk Gallery in Leicester, following their purchase of a performance piece by contemporary artist, Marvin Gaye Chetwynd. The difficulties in the conservation, and re-staging of a performance piece (especially a historic example) lie in the inability of the curator or institution to ever accurately re-create the exact context in which the work was first performed. Judit has approached this, whilst in conversation with the artist, by following the original scores of the performance, whilst adapting a proportion of them to fit more appropriately in to a museum context. Working in this way raises interesting questions about where the artwork exists and whether a performance work can ever truly be recreated or owned. For me, the highlights of the exhibition include a painting by Ivor Davies which invites the viewer to ‘Ysgrifennwch graffiti prioddul ar fur y capel gyda’r sialc sydd yma’ (Write graffiti on the side of the chapel with the chalk); and in the archive, a darkly humorous newspaper article written by Robin Page entitled ‘Death and Art’ which cynically reports on an artform which involves the expressive act of stamping frogs to death whilst wearing a silver jumpsuit. 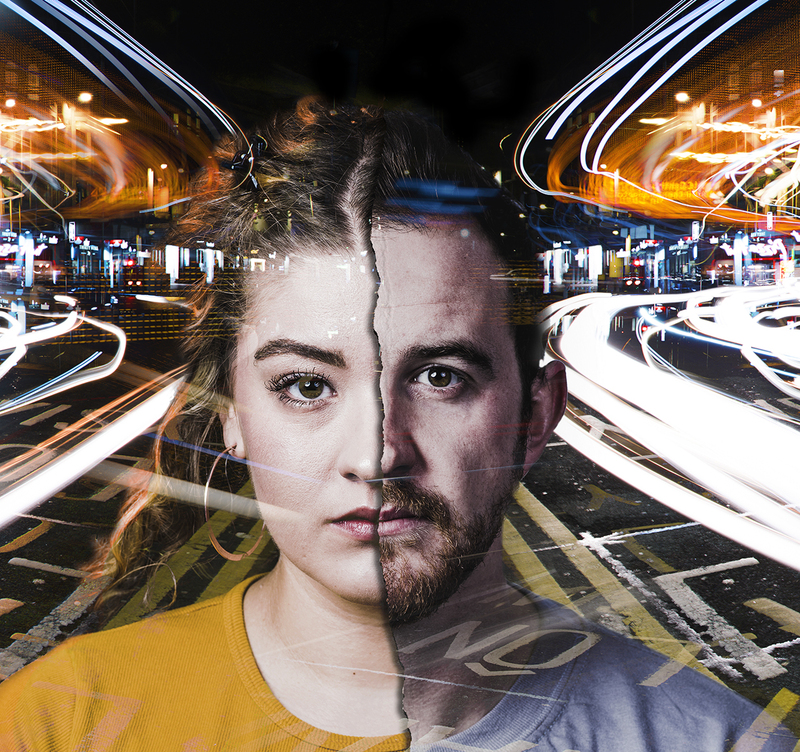 To see more information about the show, please visit the National Museum Wales, or take a look at their website here. Young Critics, 3rd Act Critics and Kids in Museums volunteers are working in partnership with Amgueddfa Cymru – National Museum Wales (ACNMW) http://www.museumwales.ac.uk/ on a new free project focusing on the quality and standards of exhibitions and programming at their sites across Wales. Those involved recently spent a day with the staff at the National Museum, Cardiff. We will be featuring the responses to the day from the participants over the next few days, next up Young Critic, Lois Arcari. Death of the Author – all great works must bow to it, to be thought as of such.What about great places, prompting great memories and passions? Response breaths life to art, in quiet thought and idle conversation just as much as any great debate. The spectator as creator needs to be accepted…. are they? This is what the Young Critics, Kids in Museums and 3rd Act Critics teamed up to discuss this previous weekend, in the beautiful National Museum, Cardiff, looking at completely contrasting exhibits to try and form a coherent narrative on why and how museums deserve to grow, with accessibility and increased open dialogue in mind.The day pointed out diversity spectacularly in both exhibits and response. 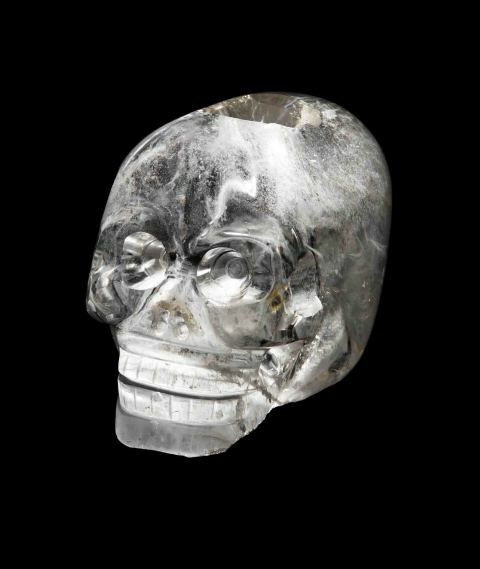 The new and hotly anticipated ‘Treasures: Adventures in Archaeology’ exhibition, with props and inspiration from the Indiana Jones franchise certainly aims to tear down any expectations of the fusty and austere in modern museums. How far can one exhibit go – even with a much-loved film series behind it? It remains to be seen, debuting in January 2016 as a priced exhibition for the museum. Even cynics must admit the reaction it gets will certainly be as very interesting as it’s spectators are interested. And, as everyone shall be pleased to hear, actively sought out as well as listened to. 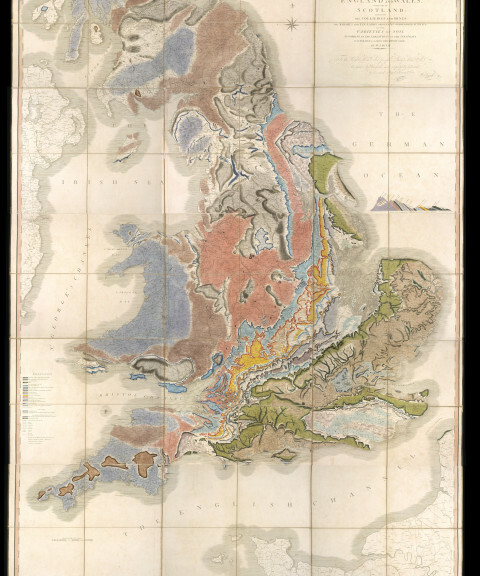 Luckily, the two exhibits we saw, in the fresh and present, offered a beguiling contrast, from the geology and maps of William Smith to the gleefully anarchic meditations on destruction of Ivor Davies. Practical concerns were made – volume, fonts size, positioning, as well as the more abstract – how to make sure potentially dry subjects could prove to compel people outside of their specialism, and how the more obviously popular could lead onto the obscure, and be given equal fervour. Each were enticing for different reasons, my personal favorite the expansive Davies exhibit, hinged on a universal themes, explored in different, and all intriguing facets – the maps were harder to match up to, the direction of pull for the general public unclear, the room itself as liable, before exploration, to feel cold as calm and contemplative. The central humanity of each exhibit, thematically or narratively, with Smith the heroic everyman was a draw to each critic, all agreeing to it as the sometimes hidden central selling point of any exhibition, the lives behind the art being enlightened preventing any feelings of imposition. Discussion was ever encouraged and enlightened, the real, vested interest palpable. Museums that care as much about their audience as artists as the linear type are destined to survive any challenges, and this day, and what was shown through it, were brilliant examples. Young Critics, 3rd Act Critics and Kids in Museums volunteers are working in partnership with Amgueddfa Cymru – National Museum Wales (ACNMW) http://www.museumwales.ac.uk/ on a new free project focusing on the quality and standards of exhibitions and programming at their sites across Wales. 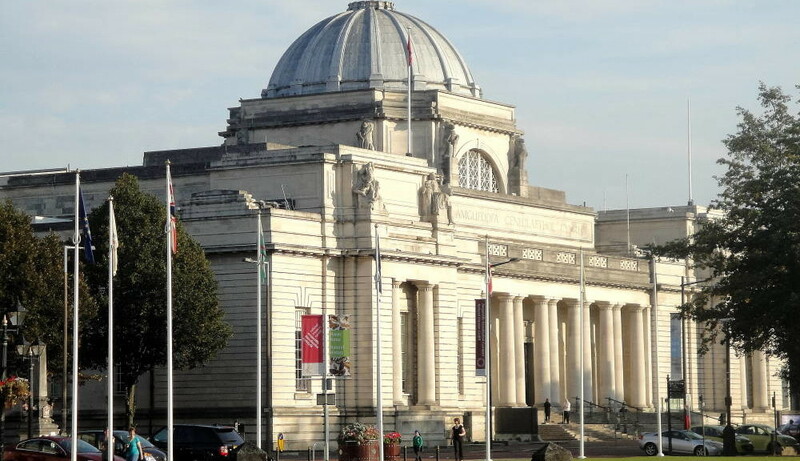 Those involved recently spent a day with the staff at the National Museum, Cardiff. We will be featuring the responses to the day from the participants over the next few days, next up Young Critic James Briggs. Cardiff is continuing to grow enormously as a city and so is its status within Europe. 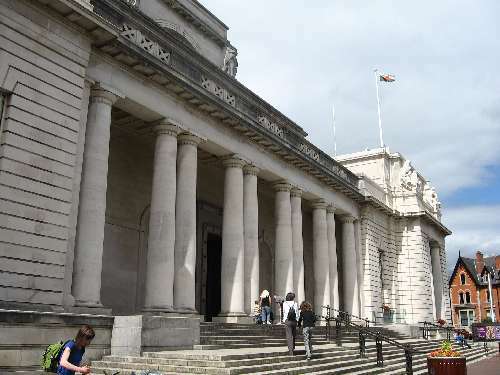 Along with large growth within Cardiff we also have the National Museum continuing to grow, the museum houses some of Wales’ most famous pieces of art ranging from Ivor Davies to dinosaur bones, there is something for everyone. It is therefore particularly important that the museums are providing their visitors with what they want. On the day we were very fortunate to be given a tour around certain parts of the museum. 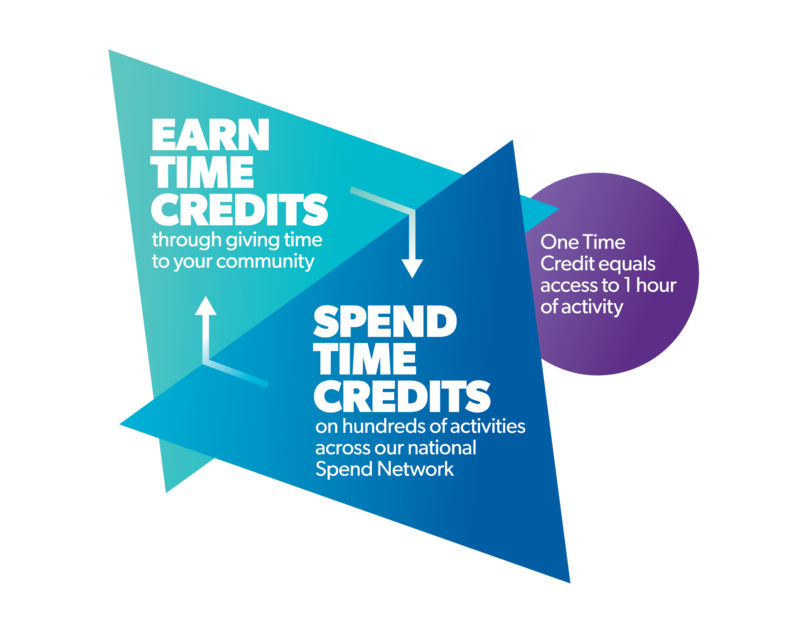 This was done to assist the members of staff at the museum with feedback on how the exhibits are designed and how it can be made more appealing for the members of the public visiting. We found when doing this it is in fact very difficult to come up with a wide range of criticisms, this mainly due to the fact that there is a large age range that must be catered for when people visit the museum; primarily young children and families and the older generation. Both of these age groups have very different needs and expect to see different things when visiting an art gallery or museum. It is this gap that needs to be bridged to ensure each and every person that visits the museum experiences everything they expected and more. By attending an event such as this one you are given a unique insight into the world behind the museum doors and what it is like creating unique displays and galleries to really show off the amazing pieces of art. It was made apparent during the day to us that the job of a designer for a museum art installation is very similar to that of someone who works for the stage with directing and creating scenery for musical shows in theatre. This means that when going to the various parts of the museum today we were able to use our skills and expertise from critiquing musicals and plays to looking at displays and art. Much of what you see when at a museum is simply theatre with the use of lighting and sound effects to stimulate visitor’s senses; the only big difference is however we the public never get to see who created the staging for the artwork to be displayed on. It will also be very interesting to see the response after Christmas when the new Indiana Jones themed exhibition ‘Treasures: Adventures in Archaeology’ will open for the first time in the UK. I found it highly interesting today to look at the effects of production companies using the museum for TV programmes and Films such as Doctor Who. We also assessed if this could be used to draw more visitors in to see the exhibits. If this is the case could we be seeing far more interactive exhibitions in the future that follow the theme of the movies and television? Only time will tell. Young Critics, 3rd Act Critics and Kids in Museums volunteers are working in partnership with Amgueddfa Cymru – National Museum Wales (ACNMW) http://www.museumwales.ac.uk/ on a new free project focusing on the quality and standards of exhibitions and programming at their sites across Wales. 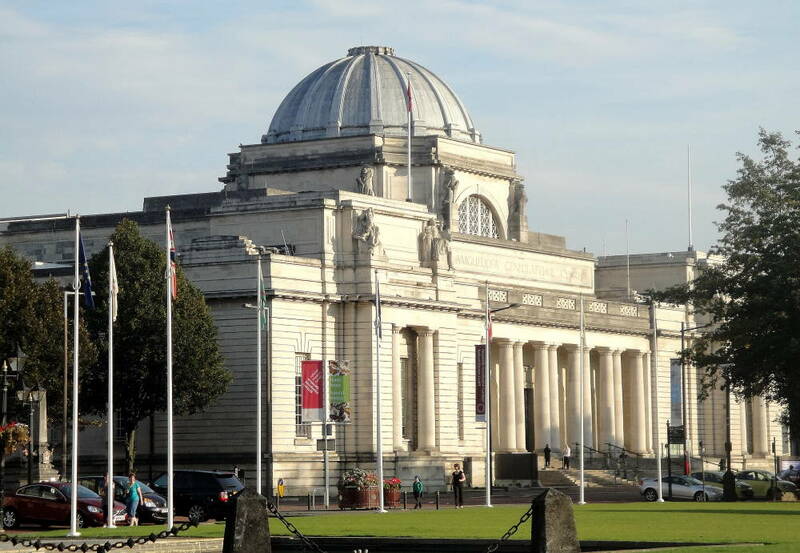 Those involved recently spent a day with the staff at the National Museum, Cardiff. 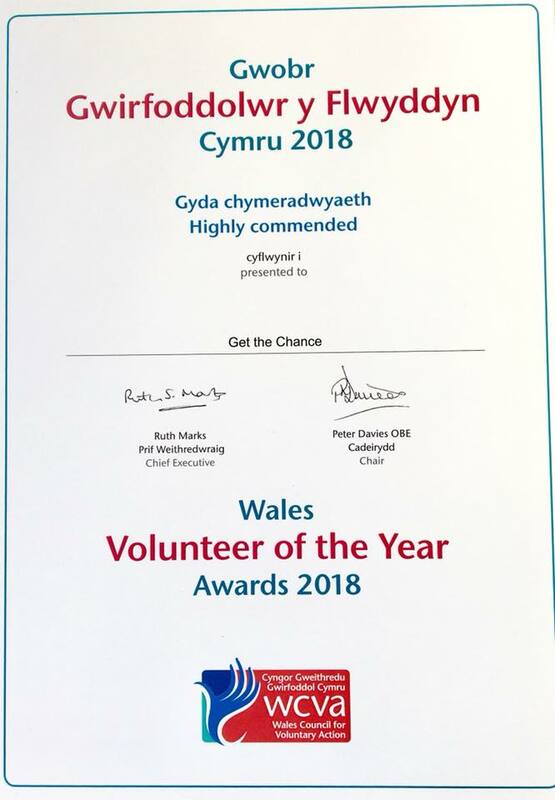 We will be featuring the responses to the day from the participants over the next few days, next up is Kids in Museums volunteer Annette Wells. This exhibition is upstairs and to be honest, if I didn’t have to go in, I may not have done -or at least, I would have looked at other stuff first. I get why the bust of William Smith, flanked by giant maps is the first thing you see, but it failed to give me the WOW that exhibitions can do (and should do?). But out of the corner of my eye I spotted a cabinet. THis is a reconstruction of the system William Smith used to display his collections of fossils..all sloping to the right because that;s what geology does, I now know! The maps are huge and I have to admit, mightily impressive. I’m sure there is a lot of interesting information on them, but it is so small, that even with the A4 magnifying sheets I still couldn’t read it. Note to self – ALWAYS REMEMBER TO TAKE YOUR GLASSES TO EXHIBITIONS! Our group was fortunate enough to be shown around by members of staff who filled in some of the missing bits, but if you’re not that fortunate, then just marvel. And I did find myself marvelling by the time I left. There is just enough information on the panels. 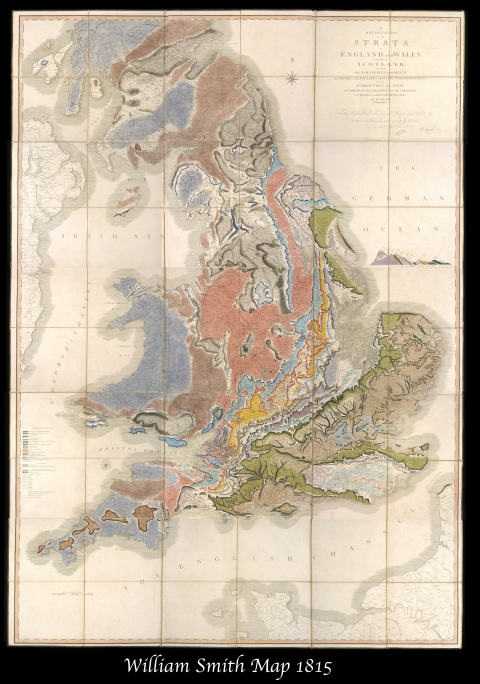 I’m not much of a reader, so once I’d looked at the objects – geology specimens and William Smith’s notebooks mainly – I did have a read. I’m glad I did. 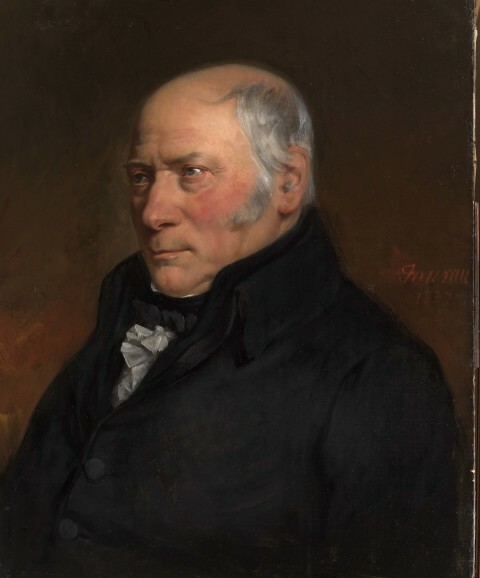 William Smith led an extraordinary life. From humble beginnings he led the way for geoloical map recording and in so doing put a spanner in the works for the many unscrupulous Victorian geological surveyors who up til then seemed to have free reign to ‘find’ and charge what they liked to hopeful/greedy/innocent/naive (delete according to your own convictions) landowners hoping to make a fortune from the mineral deposits under their feet. I also learnt that he spent time in a debtors prison. The exhibition design was very traditional. The panels made for easy reading and the object labels complemented them, which I liked. There was the obligatory interactive, and I mean that in a positive way. It was beautifully constructed and thought out, but it flummuxed me. But that might have been just me! The exhibition is bilingual and the lighting and contrasts are good. Although I grew to enjoy this exhibition, It is unclear whether this is an exhibition of the maps, which are remarkable actually, or whether it was an exhibition about a remarkable man. You go. You decide. But do visit! This exhibition is in THE BEST SPACE EVER! Immediately it felt monumental. 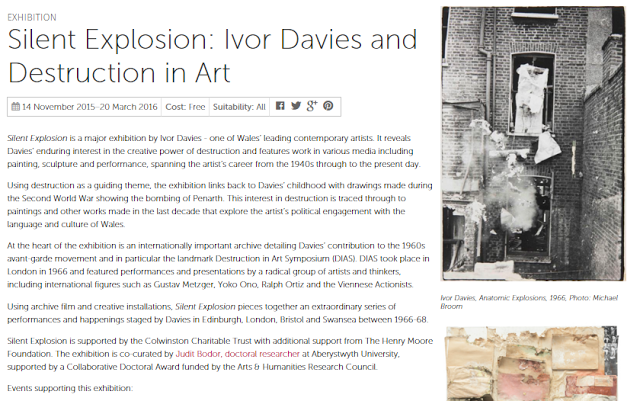 The exhibition charts Ivor Davies’s work from 1950s to his more recent work, but concentrating on his work in 1960s with the destruction in art group. There is alot to look at. Running the length of both walls and a lot of it is very similar. In the centre of the gallery is a reworking of his Swansea project. Worth watching for a while, although I’m not sure I saw anywhere near all of it. Maybe that’s the point..that you can come in and out? Well thats what I did. As usual, the arty farty way of labelling contemporary artworks which means that you have to search for information, prevails. This simply serves to make anyone who may be out of their comfort zone, even more so. Please don’t do it. If something needs a label make it obvious. If it doesn’t, then leave it out. This exhibition is bilingual too, but I felt that the contrast was not strong enough for the Welsh text which may mean that some people might struggle to read it. I have to say that I wasn’t overly keen on the work on display and prefer other works that wern’t there, but as an experience, it is an exhibition you should give a go. If only to look knowledgeable next time you have to name an internationally important Welsh artist! Young Critics, 3rd Act Critics and Kids in Museums volunteers are working in partnership with Amgueddfa Cymru – National Museum Wales (ACNMW) http://www.museumwales.ac.uk/ on a new free project focusing on the quality and standards of exhibitions and programming at their sites across Wales. 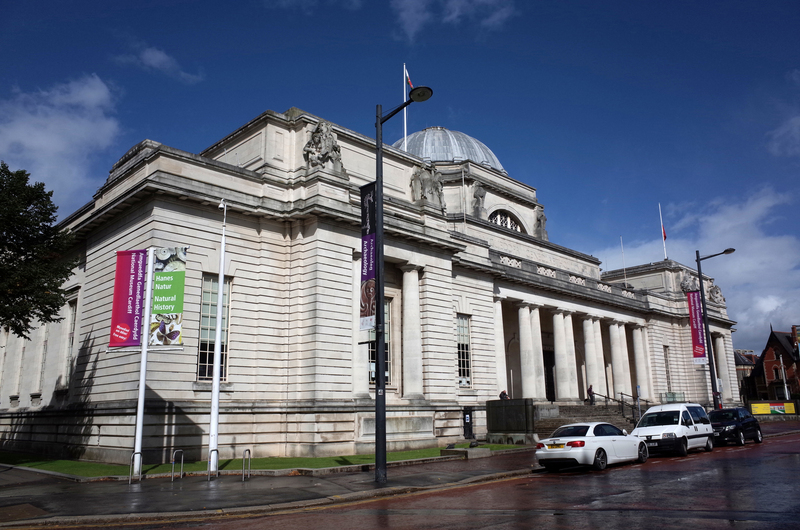 Those involved recently spent a day with the staff at the National Museum, Cardiff. We will be featuring the responses to the day from the participants over the next few days, firstly Kids in Museums volunteer Eleanor Dobson. The day was extremely enjoyable and offered me an insight, in extraordinary detail, into the inner workings of a museum. I felt myself becoming increasingly aware of the importance of understanding the expressions that are part of an exhibition. With this I was able to develop the skills to both criticise and value various elements of the areas we explored. This was a wonderful start to give us a chance to act both as a first time audience and test our skills at critiquing. I truly appreciate the level to which we were listened to, and the extent to which our thoughts were valued. 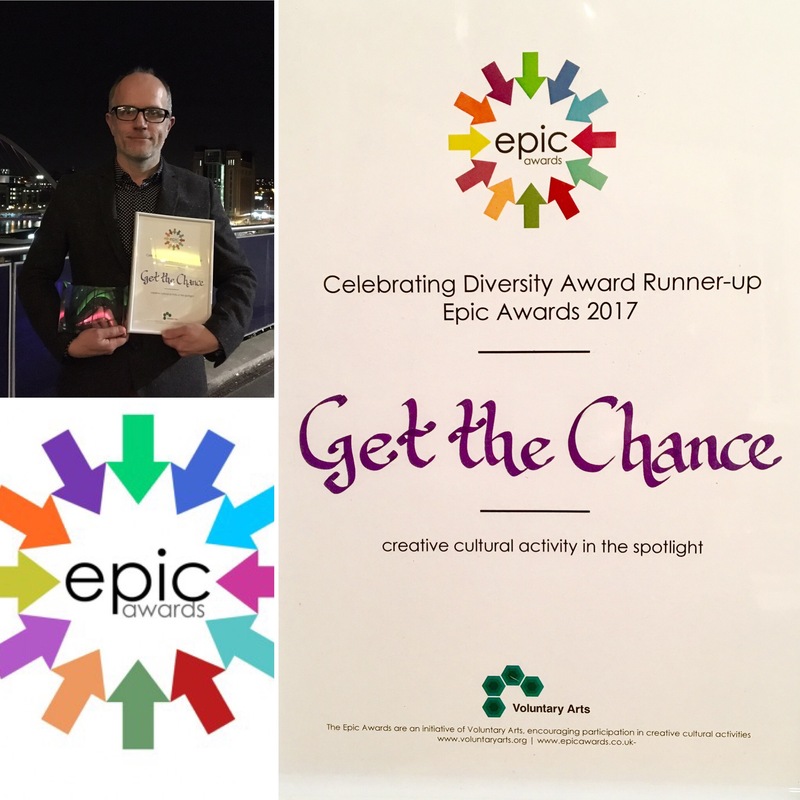 Furthermore, the environment and the format that we gave our feedback in – standing and discussing as a group –was a fantastic way for people to express their thoughts in a non-threatening or intimidating environment. Again this was also a brilliant way to test the skills we developed from the previous experience, and ensured that we could also develop further our thoughts. This was because it was a completely different style and format. The only suggestion that I could make to improve on this particular part of the day, is that I would suggest that the curators tell us which parts they feel needed improving, and reflected their own thoughts on the exhibition. This way we could have offered practical advice that would have conformed their personal aims. However sometimes I felt that our criticism and suggestions went off topic slightly. For example, if they could suggest which target audience they are aiming to impress. This is only because, as I am from Kid in Museums, although I didn’t feel the exhibits were child friendly, they were extremely impressive and interesting from an adult perspective. With this in mind, it would be good to know if this is what they were aiming for, and then we could criticise them effectively. Overall the day was fabulous. It enhanced my knowledge and skills in critiquing museum exhibits. I was enlightened into the different elements of creating a museum. Alongside this I was made to feel that I was making a positive contribution to the National Museum. I would be delighted to be allowed to take-part again, and hopefully become more confident in expressing pragmatic feedback. 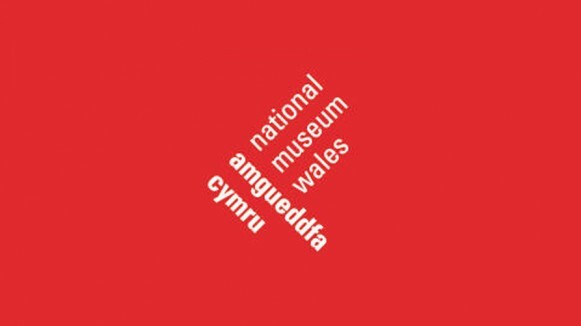 Young Critics and 3rd Act critics are working in partnership with Amgueddfa Cymru – National Museum Wales (ACNMW) http://www.museumwales.ac.uk/ on a new free project focusing on the quality and standards of exhibitions and programming at their sites across Wales.